Ari Wald is the Head of Technical Analysis at Oppenheimer. He is without question one of the best Technicians in today’s markets. We’re lucky we got a full hour with Ari. He walks us through his process and then discusses how he is applying his methods to today’s markets. We talk about U.S. and foreign stocks, interest rates, Crude Oil, Gold and the US Dollar. This was awesome! A new kind of podcast specifically focused on Technical Analysis and practicing Technicians. While we will absolutely touch on general principles, methods, and trading psychology, but there are already some great podcasts that focus solely on philosophy. 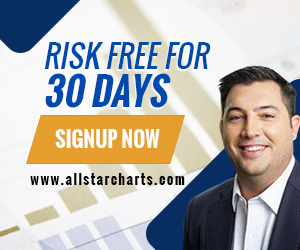 The core of what we discuss on the the Allstarcharts Podcast will be based on the current market environment, idea generation and risk management procedures.